•	Pause	• What’s playing? буду выкладывать тут всё по Sync, часть возможно переведу. в понедельник про телефон и его подключение. Note: With the above commands, words in ( ) are optional and do not have to be spoken for the system to understand the command. Note: To exit Dial mode, press and hold	or press MENU to go to the PHONE MENU. Note: You can only connect a device to SYNC® after it has successfully gone through the pairing process. Note: In the above possible commands, “<name>” is a dynamic listing in that it could be the name of any previously paired device. Внимание: не пытайтесь спарить телефон с SYNC во время двжения. Заведите машину, включите радиприёмник включите Bluetooth на мобильном. Нажмите кнопку PHONE на радиоприёмнике. Note: по умолчанию, Bluetooth SYNC включен, если Bluetooth не включен, на экране появится надпись BluetoothOFF с предложением изменить состояние Bluetooth ON/OFF. на дисплее будет: Set Bluetooth On? На дисплее отобразится Bluetooth Set On подтверждая что Bluetooth включен. Если SYNC не обнаружит предварительно спаренный телефон, на экране отобразиться No Phone Found и Add Bluetooth Device. Нажимайте ARROWS (стрелки) до появления надписи Add Bluetooth Device. Note: убедитесь что Bluetooth включен на телефоне и доступен для обнаружения. SYNC отобразит PIN на три минуты. Введите предложенные 6 цифр на мобильном телефоне. После успешного спаривания, на экране появится Device Connected. Note: телефон может запросить разрешение на входяще соединение с Bluetooth SYNC. Note: Primary — телефон к которому SYNC будет автоматически подключатся. Если телефон поддерживает выгрузку адресной книги по Bluetooth, то вы можете загрузить её в SYNC. Если выбрали Yes начнётся загрузка контатков. По завершению появится надпись: Download Complete. Note: Это может занять несколько минут, зависит от количества контактов. Для выхода из меню нажимать на стрелки (ARROWS) до EXIT PHONE MENU и нажать OK.
Править контакты вручную на телефоне? ну можно конечно, только это долго, муторно и потом на телефоне как пользоваться? Не бойтесь вирусов, подумаеш ваш комп станет моим ботом :rofl: (шутка), ставим и запускаем. Скармливаем наш файлик с контактами, если надо правим и создаём файлик для SYNC. Log on to Your SYNC Account and select applications and updates to download. If your browser is not supported by this site, the download may not be successful. 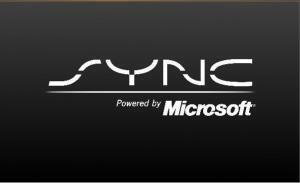 Please view: Which browsers are supported by syncmyride.com? Locate a portable USB storage drive that you can take to your vehicle. Note that password or biometrically protected, or locked files are not accessible by SYNC. Because U3 USB drives may be password-protected and the files may not be accessible by SYNC, we recommend that you do not use U3 USB drives with SYNC. We strongly recommend that you use a separate USB drive for each of your SYNC-equipped vehicles. Dedicating a USB drive to each vehicle's SYNC system helps us keep each vehicle's download and installation history current-and accurate. In addition, as new SYNC features and functionalities become available, you may decide to install different features on different vehicles. Dedicated USB drives will help maintain the unique applications for each vehicle. Plug the USB drive into your computer's USB port. Can't find your USB port? On a desktop PC or Mac you'll often find USB ports in the front and in the back of your computer. Laptop PCs might have USB ports located on either side or in the back. You can plug your USB drive into any of the available ports. The drive should slide in easily without being forced. You may have more than one USB port on your computer. This option allows you to choose the USB drive you want to use to download SYNC files. If you have more than one USB device connected to your computer, choose the USB drive you wish to use from those listed on your computer screen. If you plugged in a different USB device, the new drive will appear in the list. If you've used your USB storage drive previously, it will appear under SYNC Storage Drives. If no USB drive is detected, safely remove the drive by clicking (on a Windows PC) the Safely Remove Hardware icon at the bottom right of your screen, next to the clock. Confirm your choice of USB storage drive. Then click Next. If you wish to change your choice, click the Change this USB drive link and select another. After clicking Next, the files will automatically begin downloading. Please DO NOT remove your USB drive until the download is complete. The screen will confirm that the download is complete. Safely remove the USB storage drive from your computer's USB port by clicking (on a Windows PC) the Safely Remove Hardware icon at the bottom right of your screen, next to the clock. You are now ready to take your USB storage drive to your vehicle and install on SYNC. Turn on both your vehicle and radio. Your vehicle must be running and not in Accessory mode. Press the radio AUX button to select one of the following sources: Line In, USB or Bluetooth Stereo. Media Menu will display and change to Play Menu. Press the ARROWS to Select Source. Press the ARROWS to choose System Settings. Press the ARROWS to choose Advanced. Press the ARROWS to choose Install Applications. SYNC will automatically detect the files and the SYNC screen will display: Install Application? Press OK to confirm the installation. Installing Application will display during the process. Note: Do not remove the USB drive while the installation is in progress. Upon completion of downloading of files, Installation Complete will display on the SYNC screen. NOTE: The system will reboot, which will take several minutes. Do not use the system during this time. Installation Complete will remain on the SYNC display until you exit the installation mode. Press MENU to exit installation mode. Please remove the USB storage drive at this time. Please note that after you have installed the update, you will need to pair your mobile phone again with SYNC and re-download your contacts from your mobile phonebook. We also recommend deleting the previous Bluetooth-SYNC connection that was on your mobile phone before re-pairing your mobile phone to SYNC. Last main step—and it's an important one—report the successful installation! Bring your USB storage drive back to your computer. Log in to your SYNC account. Select Update & Customize on the menu bar. Insert your USB drive in the same USB port in which you downloaded the update file. The SYNC files will be listed on the screen. Remove the USB drive and be sure to insert it in same USB port that you used to download the file. Click NEXT. If you receive the message again, it could be that you removed the USB drive before the installation was completed. In this case, please re-install the file on SYNC. Please remember that you need to receive two Installation Complete messages, before the installation is completed. Click: UPLOAD SYNC CONFIRMATION FILES. After the upload finishes you will receive a confirmation message. If you installed the SYNC Services update, you must activate the service in your account before connecting to it. To activate services, click the MANAGE SYNC tab on the menu bar. The services available for your SYNC will be listed. 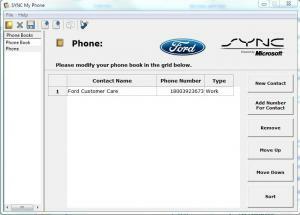 Once you have activated a service in your SYNC account, you'll be able to connect to the service in your vehicle. сел аккумулятор, прикурился, завелся, поехал, SYNCа в машине как буд-то не стало. В меню нет ни аукса, ни блютуса, в меню ничего про синк нет. Все кнопки относящиеся к телефону, голосовым командам итп неактивны. На сайтах производителя не нашел траблшутинга данной проблеммы. Заранее благодарен за помощь в вопросе. по поводу обновления SYNC вопрос- что дает обновление в наших реалиях, ибо тел уже подключил, на звонки отвечаю, голосовым набором не пользовался. И когда простите дальше раскажете сударь? и далее по тексту. Часть третья не требуется. Прошу прощения,а если у меня 09 год эскейп гибрид ,обновлять тоже нужно ? Это мне за тебя решить? Привет, братва, а как понять есть у меня в авто эта щтука или нет? Пробовал спарить с телефоном -пишет что-то типа No Phone ....Может у меня её ваще нет? VladSk70 спереди от ручки АКПП есть хромированная табличка с надписью «майкрософт синг»? если есть, то эта штука у тебя есть! или на руле справа кнопка 2я снизу, на ней вроде говорящий рот нарисован :D на неё жмакаешь и тетка лапотать начинает, вот она то и есть это :) . Блин файл удален :mn: Закончился срок хранения файла. Файл удален с сервиса. Спасибо качаю :good: может что есть по навигашке? Флешки должны быть отформатированы в FAT или FAT32. т.е. если на руле справа кнопок нет ваще (только слева круиз-контроль) — то и Sync нет?